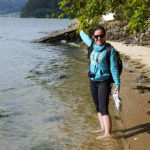 Deciding what to pack for the Camino de Santiago can be a daunting task, for this reason we have selected our top 5 Camino packing tips to get you ready for your Summer Camino. Packing for the Camino de Santiago shouldn’t be hard but planning is key. You should have a detailed list of what to bring on your walking holiday and just as important: what not to bring. Everyone dreads packing their suitcases when they are going away on vacation but we have narrowed our list to the basic essentials. Let us help you to get organised with a small packing list! Although its summer remember to be ready for all seasons. You can do all of the research in the world and watch daily weather updates on your phone but the weather in Northern Spain can have unpredictable patterns. It is generally warm in the summer months but you could experience dispersed rainfall too. A good lightweight jacket or raincoat will make your life a lot easier. Try to bring a jacket that is foldable, rainproof and easier to carry. Follow the ‘onion’ advice: layering your clothing. Wear your different layers for warmth when it’s cooler and take layers off as the day gets warmer. When you are packing for the Camino remember the type of holiday that you are about to embark on. You want to be comfortable while you are walking so glamorous outfits are unnecessary. Also, avoid any clothing that will irritate your skin. You need soft fabric, suitable for long distance walking and relaxing in the evenings. For the long-haired men and women, don’t forget some hair bands or a bandana to help keep your neck cool. Yes, you will probably have a suitcase of clothes even though you will live in your favourite pair shorts and t-shirt. If you book with us we will help to take care of your main luggage bag transferring it to your next stop every day. In addition to your main suitcase you should take a small backpack (10 litres is ideal). If you buy a backpack with hipstraps it will help to distribute the weight more evenly and take the weight off of your shoulders. A small day bag to carry your water, wallet, a few nuts and snacks and a bandana will prove to be key on those hot days of walking. These are obvious but easily forgotten items. Bear in mind wind can be just as damaging as the sun to the skin. A high factor suncreen lotion will help to infuse moisture into dried out skin and protect against sun burn. Apply the cream generously each morning and make regular top-ups during the day. In addition to sunscreen buy or borrow a good pair of sunglasses. These will protect your eyes and help you to keep on track if the sun is blinding. The right pair of walking shoes and hiking boots can be the difference between an enjoyable walking holiday and a nightmare of a trek across Europe. Be sensible when it comes to your shoe choices. The most important things to remember when buying a new pair of walking shoes is to make sure that they are waterproof and to break them in before the Camino de Santiago journey. 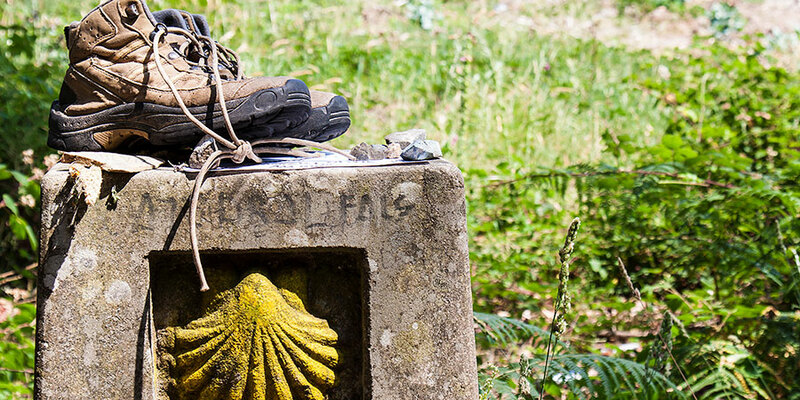 We have a fitness preparation guide for anyone planning on walking the Camino and you should use your preparation walks to get used of your walking shoes. In addition to walking shoes a great pair of thick socks can help to prevent blisters, protect your feet and absorb sweat. It is worth spending on these essential items. Cheap shoes and socks will fall apart with daily wear and tear. Walking boots will give you better ankle support than walking shoes and of course, walking sandals. There are nights where you will want to just curl up with a book after a long day walking. A book is a great companion for the walk if you need to take a quick rest, turn off the thinking switch from the day or if you are walking the route solo. 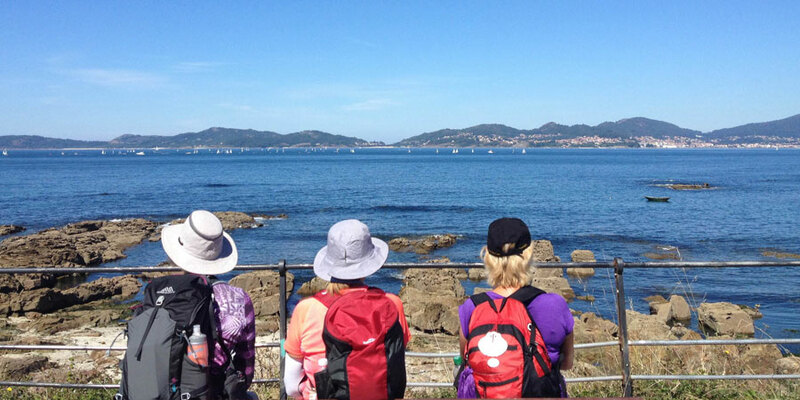 If you need further Camino packing tips download our Camino Packing Guide or would like to book your Camino de Santiago trip contact one of our travel specialists.